Filed to: Haikyu! !Filed to: Haikyu!! 2 Movies will premier on September. The first movie with the surname “Saino to Sense” will premier on September 15; the next one “Concept no Takaki” will appear at the movie theaters on September 29. 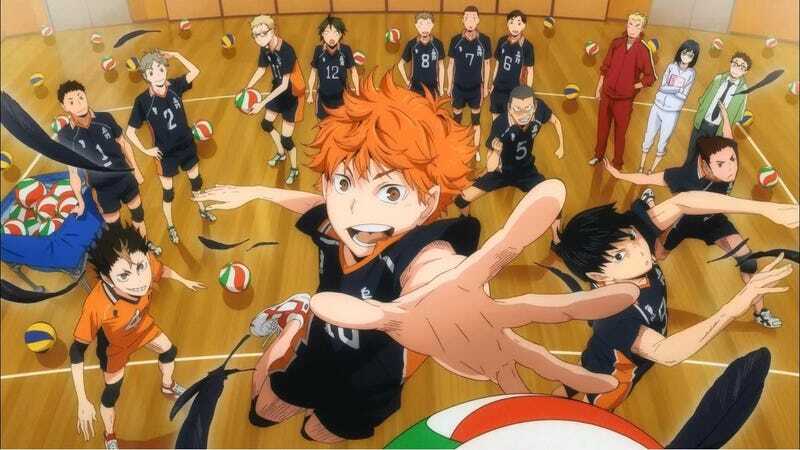 “Inspired after watching a volleyball ace nicknamed “Little Giant” in action, small-statured Shouyou Hinata revives the volleyball club at his middle school. The newly-formed team even makes it to a tournament; however, their first match turns out to be their last when they are brutally squashed by the “King of the Court,” Tobio Kageyama. Hinata vows to surpass Kageyama, and so after graduating from middle school, he joins Karasuno High School’s volleyball team—only to find that his sworn rival, Kageyama, is now his teammate.